As the label infers, Bootleg might not be a bandwagon chaser but the brewers don’t mind having some fun. 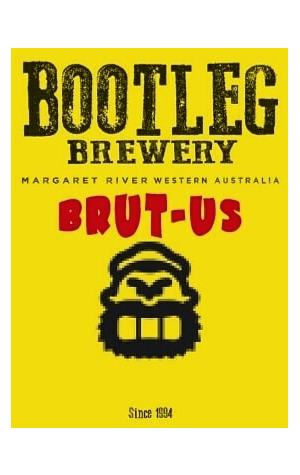 The label's shade is also rather evocative of the clear golden liquid that pours into your glass, thankfully without the bearded Brutus' follicles as company. Bootleg suggest you'll find tropical flavours with subtle mint from the Calypso and Citra hops used within; you might find them alongside lime, melon and faint grapefruit too. As expected of the fledgling style, Brut-us runs dry throughout, with the hops oils providing some textural mouthfeel. Historically inclined drinkers might have suggested a blackcurrant cassis version – Cassius if you will – of Brut-us, given the political events coinciding with its launch but, for now, visitors to the south west brewery can sip in safety without fear of a knife in the back.